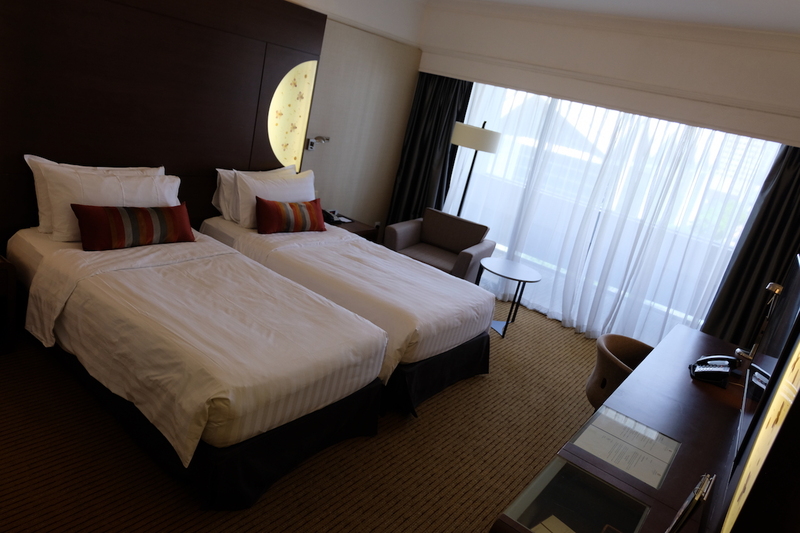 One of the things Singapore is known for is having several hotels of different classes to choose from. While Mandarin Orchard by Meritus had been our go-to for some years now, we thought we ought to choose something else for a change during our trip to the Lion City earlier this year. 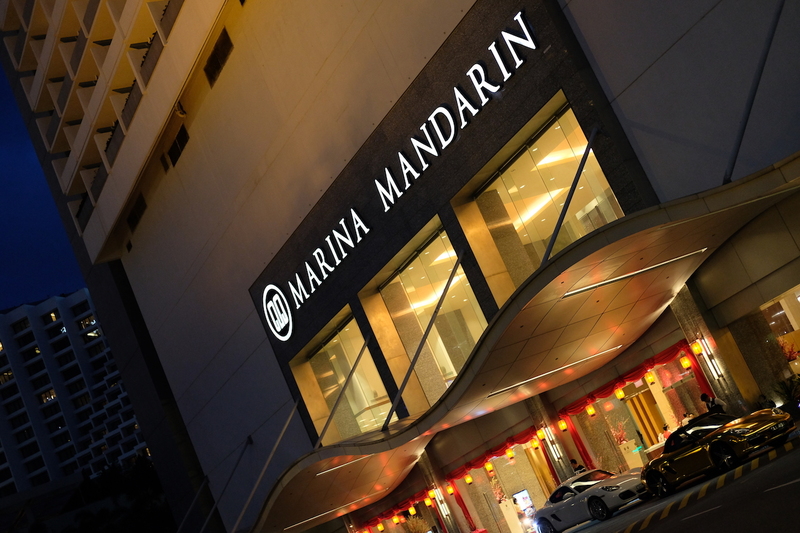 Having great trust in the Mandarin by Meritus brand, we decided to go for Mandarin Orchard’s sister hotel Marina Mandarin. 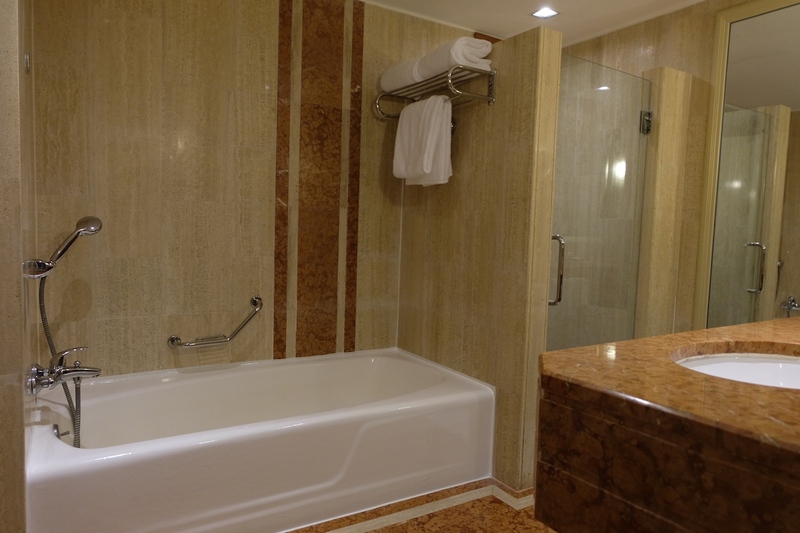 Situated in the heart of Singapore’s Central Business district, this 21-storey hotel boasts of a fantastic location. With direct access to the Marina Square Mall, you can go shopping or have a great meal by just taking a few steps from the hotel’s main lobby. 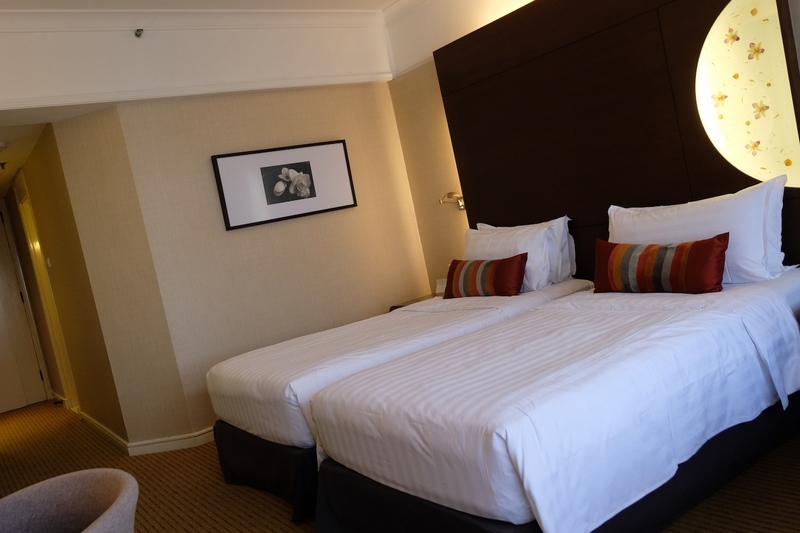 Together with this, the hotel is within easy walking distance to several of the country’s main attractions, such as: the Esplanade, Gardens by the Bay, Marina Bay Sands, the Singapore Flyer, and so on. 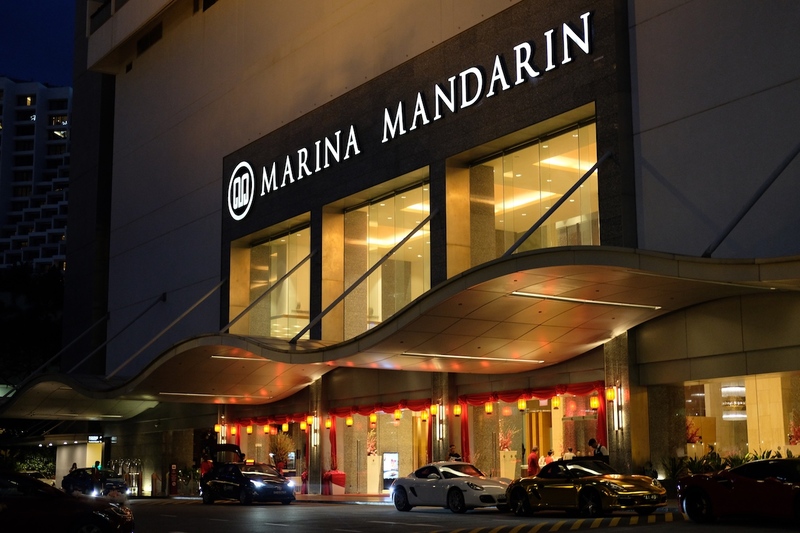 Truly, the location of Marina Mandarin is hard to beat, if what you’re looking to get out of your visit is sightseeing, dining & entertainment. 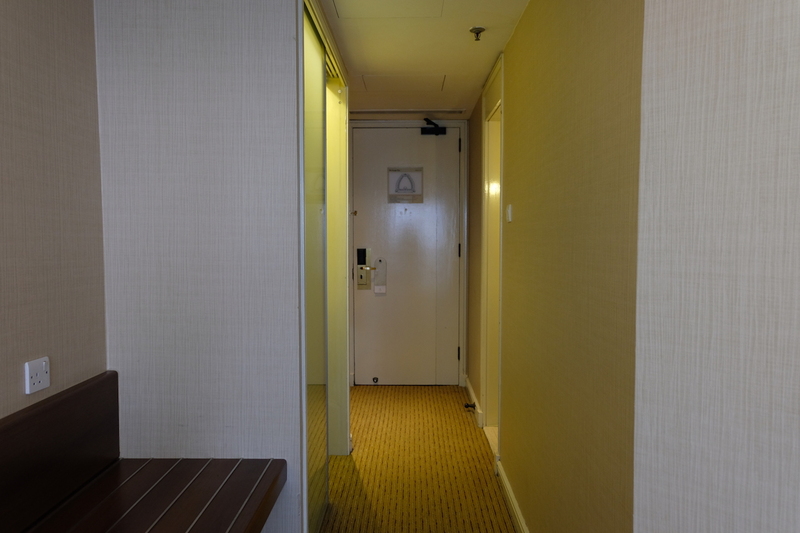 And now, onto the accommodation of Marina Mandarin. 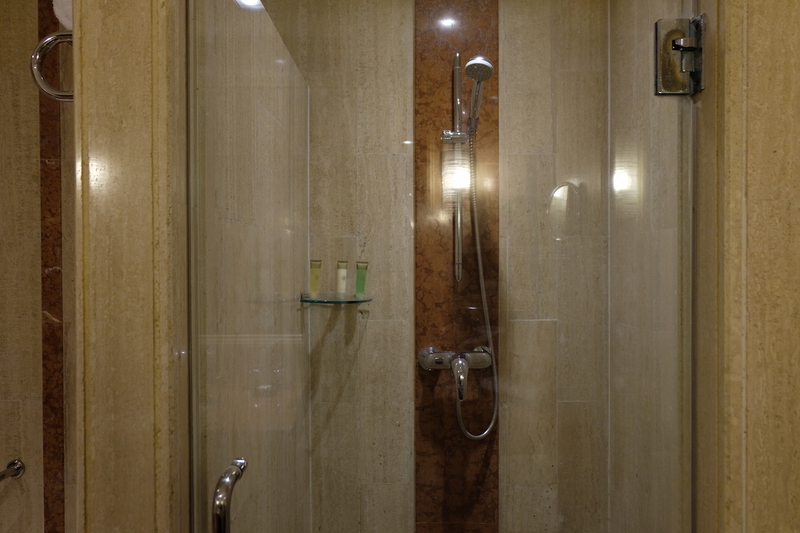 While we got the most basic room: the Deluxe Room that spans through 31-33 square metres, we were absolutely thrilled as it has more than enough space to move around, and is equipped with anything and everything you would need. 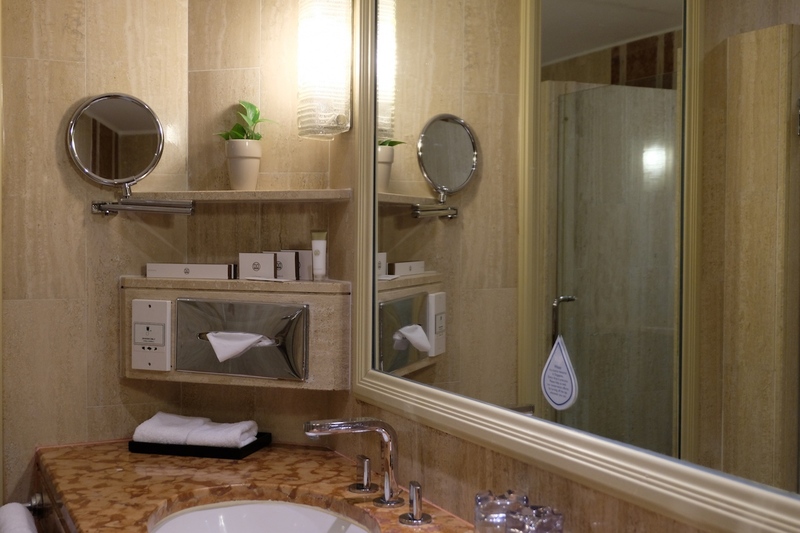 Priced at less than US$200 per night, you’ll definitely get your money’s worth. 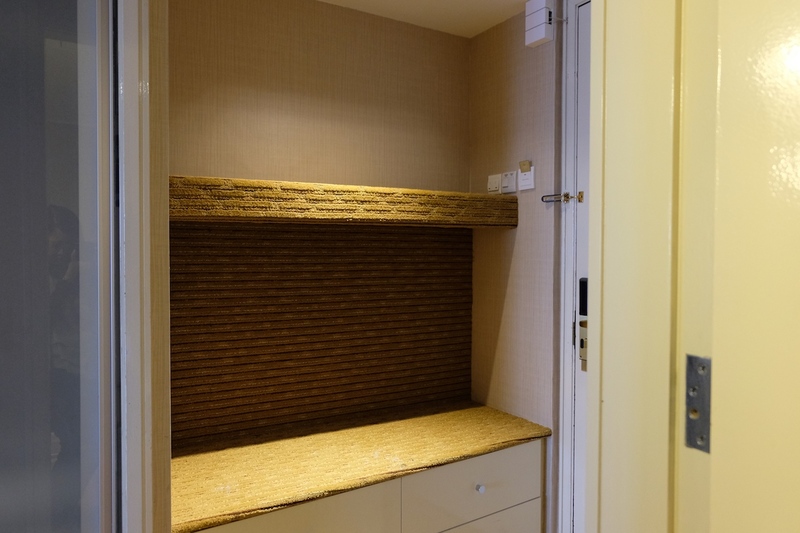 Complete with closet, a work desk, a television, a refrigerator with a minibar, a luggage area, an iron board & an iron, a security safe, and so on, the room has definitely everything tourists and travelers alike would need for a long or even short stay in the city. 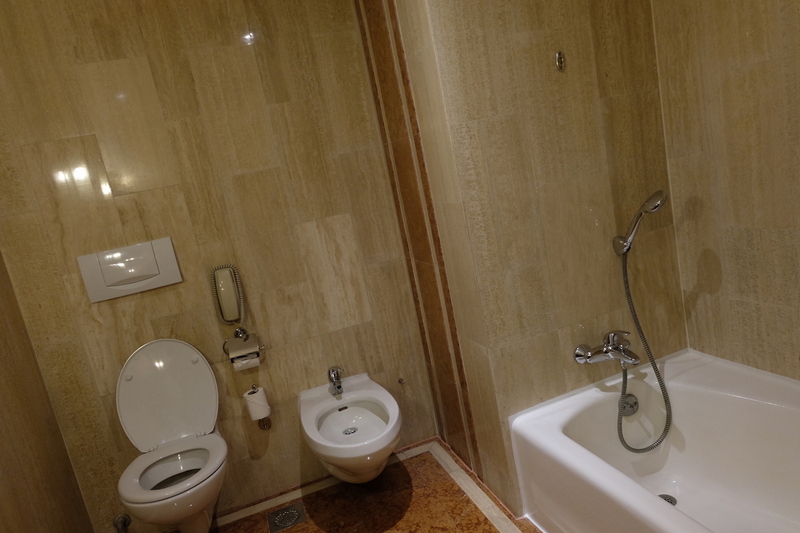 The bathroom is spacious as well, as it houses both a bathtub and a shower, two sinks, a toilet & a cadet bidet. 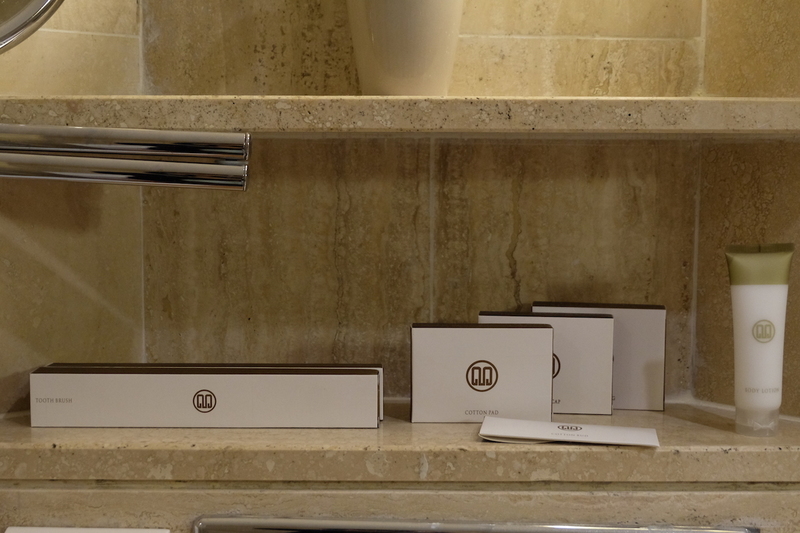 Toiletries come with it as well, as their shampoos and soaps are locally branded & sourced. 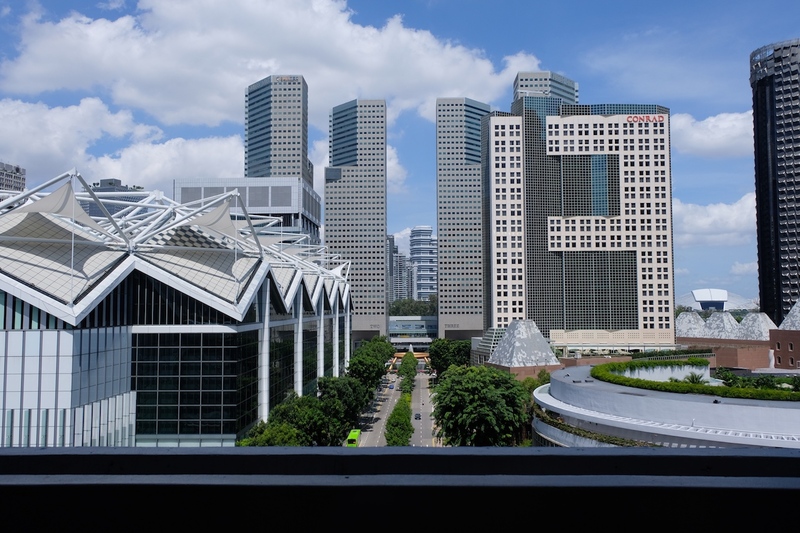 My favorite part of the room, however, would have to be the balcony that overlooks Singapore’s Central Business District, as depicted in the photo below. 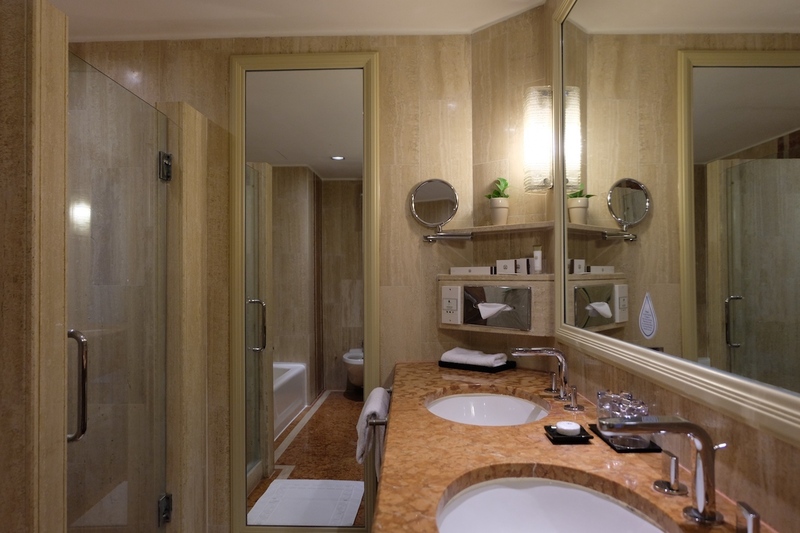 Aside from having fantastic accommodation features, Marina Mandarin boasts of several world-class facilities and amenities – three of which I’ll mentioning here, which are my favorites. 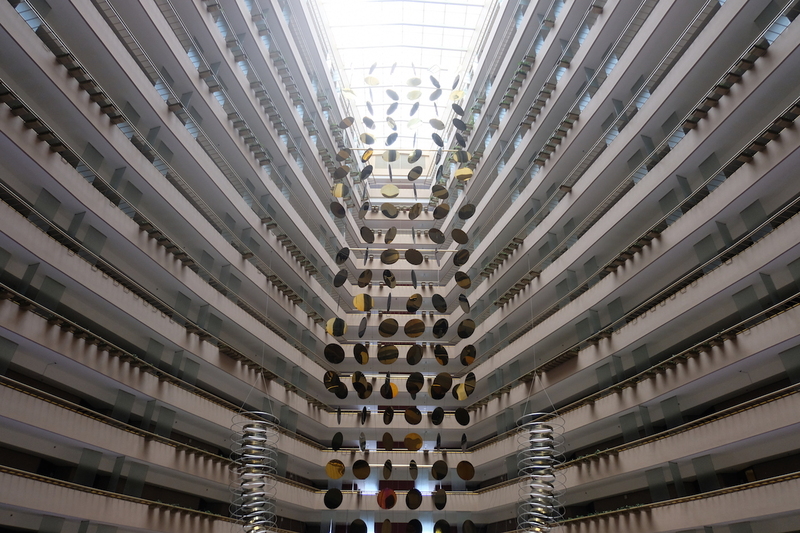 Stunning as it is in photos, Marina Mandarin’s Atrium is even far more grand if you see it firsthand. 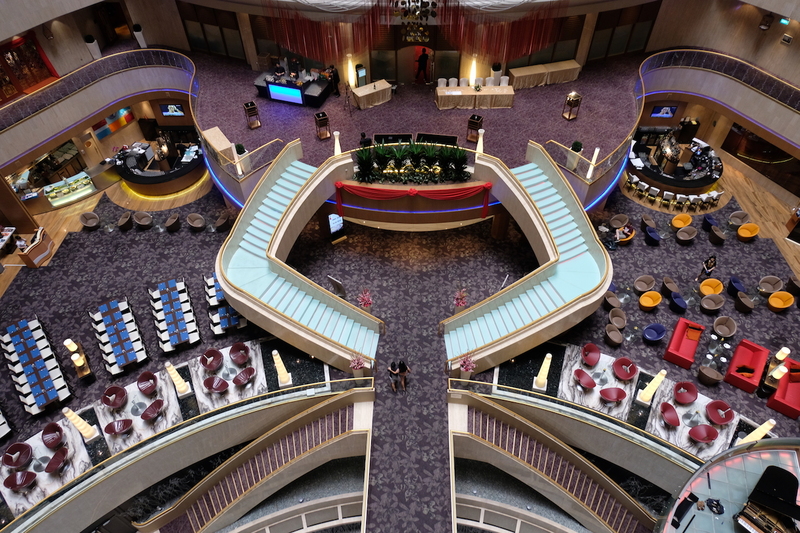 The main lobby is where you can take a seat, admire the fantastic architecture, and even listen to live music if you’re there at the right time. 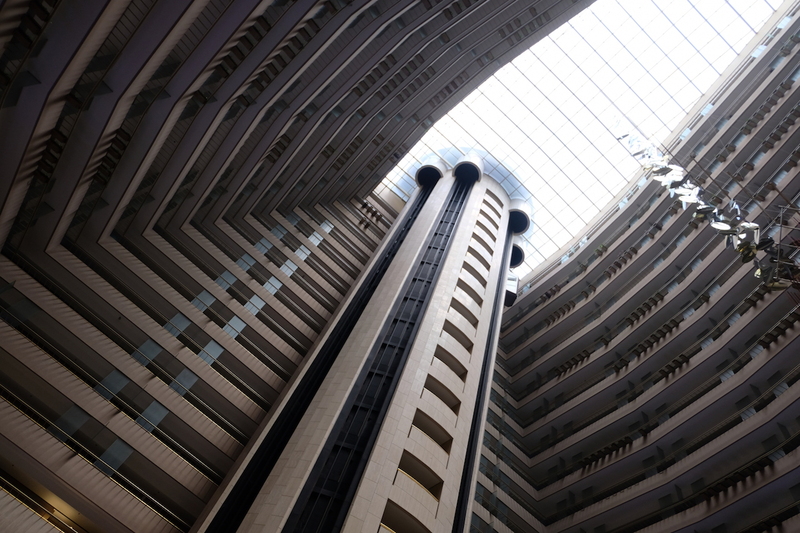 It overlooks the hotel’s multi-level atrium that truly is quite a feat. 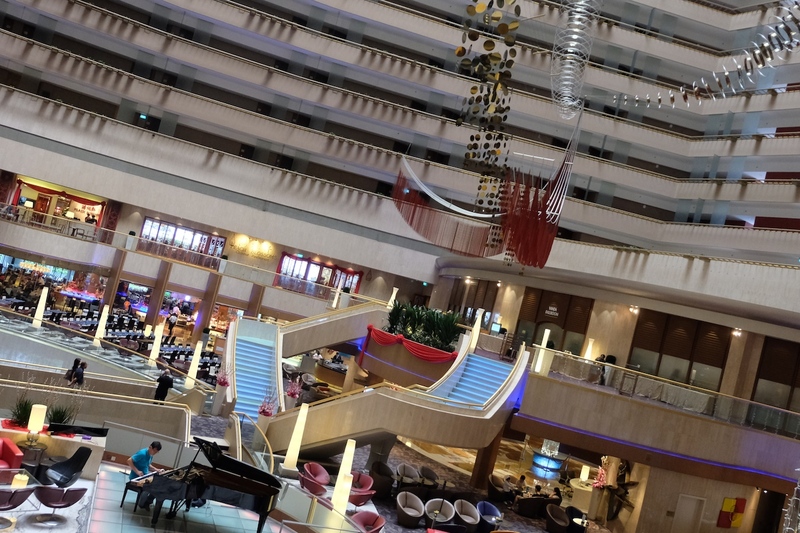 From each floor of the hotel, you can also get a view of the atrium, which will always be a great way to start the day, as you’re geared to head out of the hotel into the majestic city of Singapore. If you’re longing to take a break from the hustle and bustle of the city, Marina Mandarin has a great way for you to relax, as it houses a 25-metre natural mineral water pool that overlooks the city’s incredible skyline. 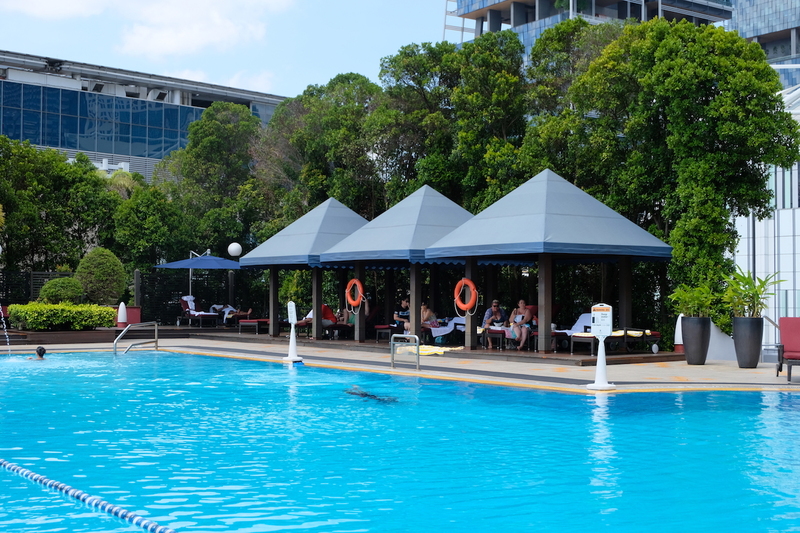 Even better – there is a pool bar, where you can get a glass of wine or a glass of your favorite cocktail whilst enjoying the Singapore sun before doing a few laps in the hotel pool. 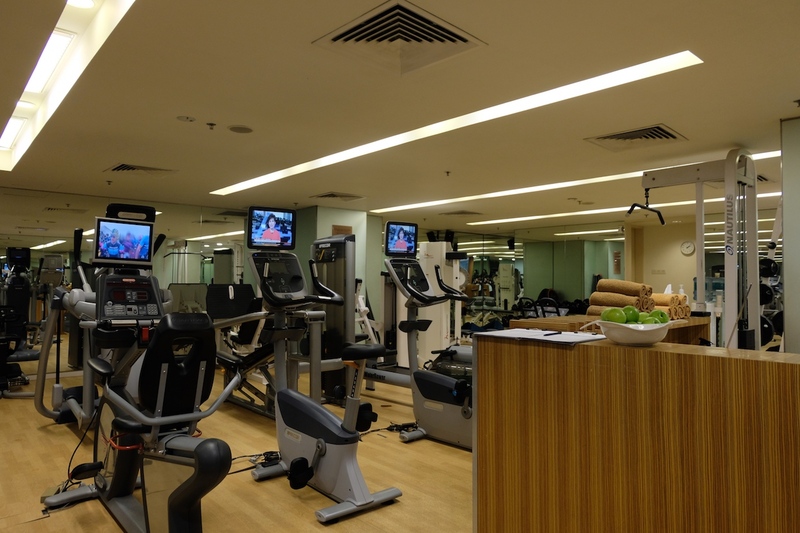 Yet another way for guests in the hotel to take a break is to hit the gym, and this is where Marina Mandarin doesn’t fall short in either. 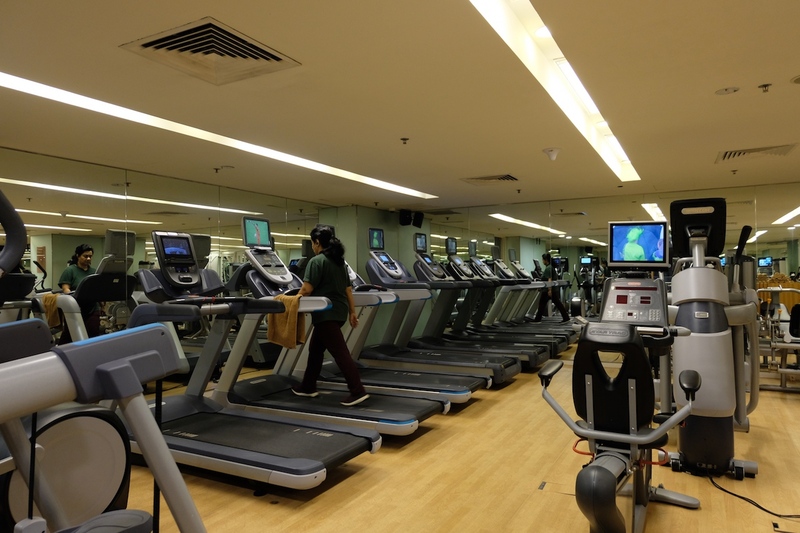 Though the gym is a tad bit small, it has several machines that can cater to guests – and based on our experience, it never got crowded. 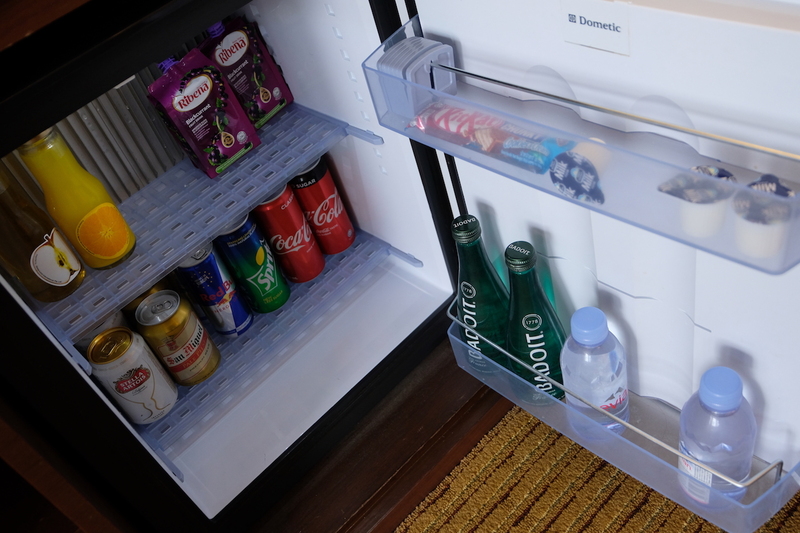 They also have complimentary fruits that you can easily grab if you’re in need of a snack; and they also offer in-house face towels, so you won’t have to worry about bringing one all the way from your room. Needless to say, I loved everything about Marina Mandarin, and would definitely recommend it to those who are looking for that 5 Star Singapore Luxury Hotel experience for an incredibly reasonable price. 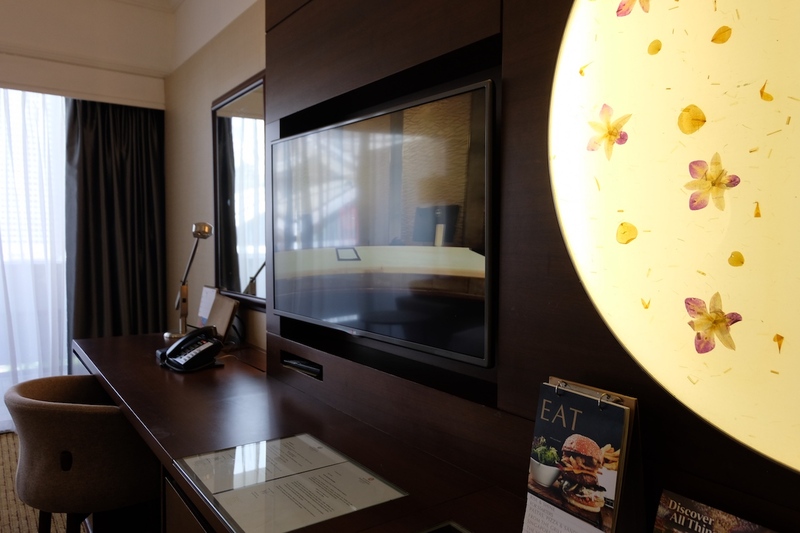 From the facilities to the accommodation, as well as the service and the staff – everything is top-notch; but one thing I would certainly bank on is the hotel’s fantastic location, in the heart of the city center. And this, will ensure that you will get to experience anything and everything you would want: from the sights, to the food, the nightlife, entertainment, and so on!